Every room needs a large, eye-catching piece. Whether it’s five feet tall or one foot tall, it should have the colors and impact to make people look at it with more than just a passing glance. It should bring life, focus and color to the room. The same can be said for your business. Your office should foster a large format wall mural in one — or all — of your rooms or general areas. 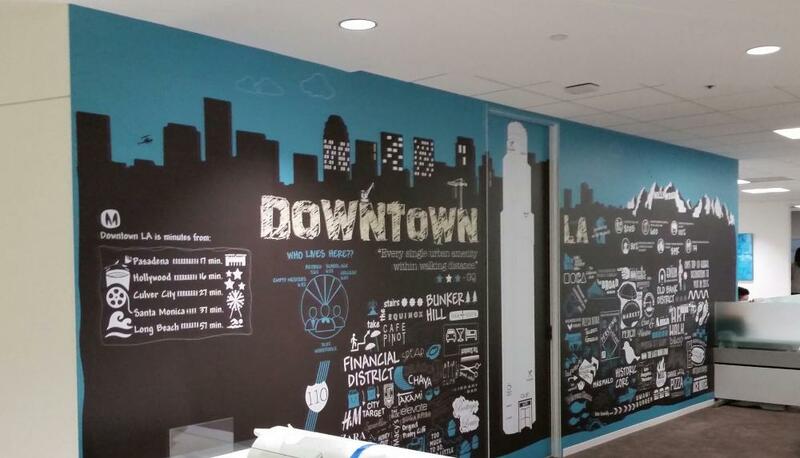 SpeedPro Imaging LA North can help you find and design a large format wall mural that speaks most solidly to your brand. 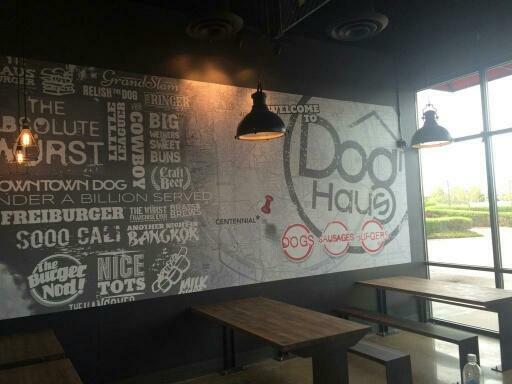 We’ll work with you to design a vinyl wall mural that will create an experience and settle an atmosphere, perfect for both your customers and your coworkers. If you’ve been feeling like your office is a little empty, now is the perfect time to reach out to our studio. 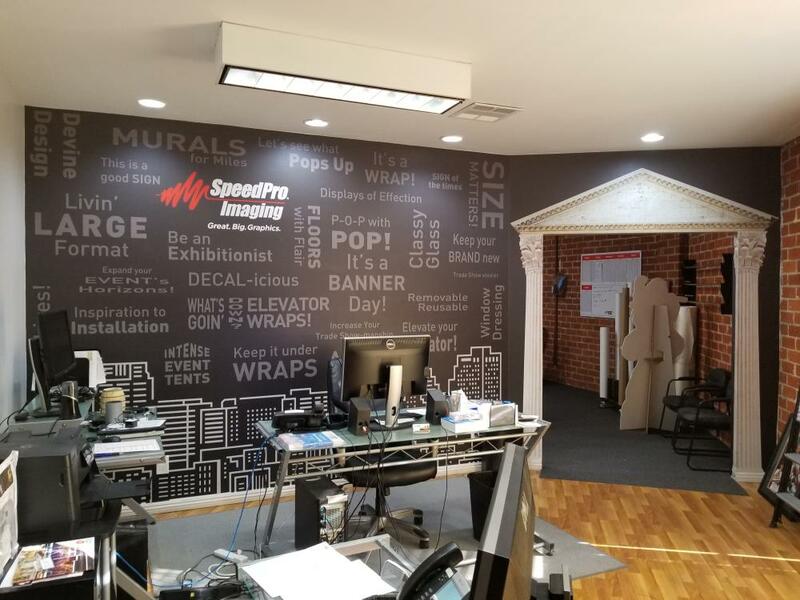 Our team will set up a consultation so that we can meet and discuss all of your branding needs to create the right wall mural for your business. Everyone in an office loves colorful, decorative art. They make an office space feel more inviting and often tell a story or represent something that the business or company stands for. So why not add a storyteller in your building? One of the first things we’ll have to decide is where you want to place the wall mural — the second thing is who you want it to speak to. If your waiting or lobby area is a little dull, placing a mural there will help make it a better waiting experience for customers and clients. If you’ve noticed your meeting or conference room feels a little too stiff, adding a wall mural can brighten up the environment. 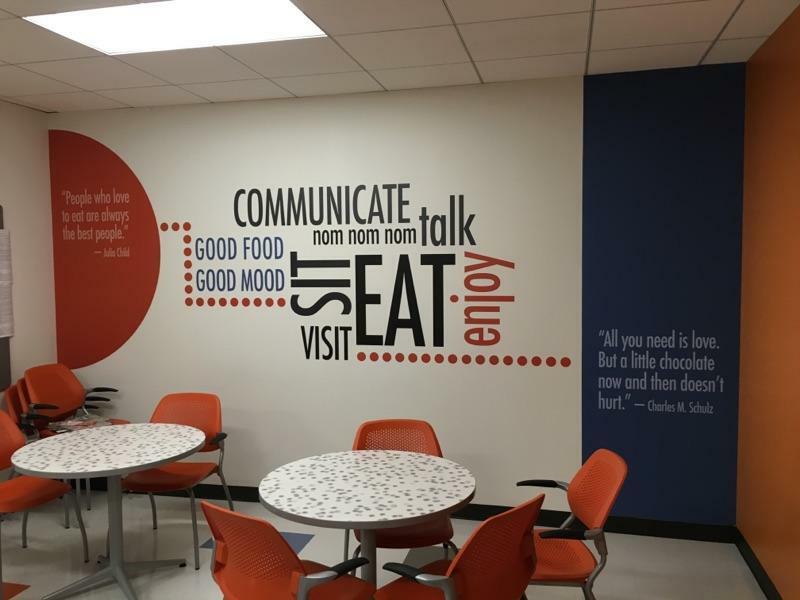 Wall murals can also be used as motivational tactics — branding your business’s mission statements or goals for coworkers to see and be exposed to can increase productivity and performance. The goal with custom wall murals is to make a large statement through bold colors and a meaningful message. Our design team at SpeedPro Imaging LA North is ready to discuss what your message could be. The beauty of our wall murals comes partially from the vinyl material they’re printed on. Our fade-resistant inks transfer beautifully onto the vinyl, ensuring that your message will not be ignored or go unseen. We can also utilize our color-matching technology, which enables us to print a wall mural with colors and inks that match the surrounding colors already used in your interior signage. Our team works with you through every step of the process, making sure our visual solutions will ultimately bring your dream wall mural to life. Contact our studio today if you’re working out of the Los Angeles, Glendale or Burbank areas. We’ll set up a consultation appointment right away!